An exquisite tale of the push-and-pull of desire in a world that is in constant flux. Nothing in the book is set in stone — not even stone itself. Rain, tsunami, earthquakes, mountains that sink and peaks that grow — all serve to indicate that change (chaos) is constant. 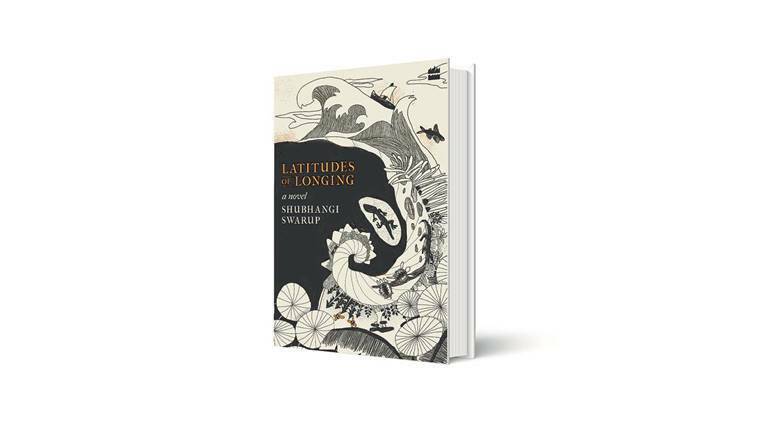 The heartbeat of the earth, forests and oceans set the narrative pace for Shubhangi Swarup’s Latitudes of Longing, her debut novel which studies love and passion as connections that weave through humans and nature to create a living, breathing whole. The book can be said to be loosely composed of four novellas, and the characters at the heart of the story are Girija Prasad and Chanda Devi — two people with startlingly different perspectives towards life, brought together thanks to a godman throwing a banana peel. Of course, while that might have been the immediate causal event, Chanda tells Girija that they came together in that lifetime as they did in so many earlier ones. That doesn’t make their discovery of each other any quicker, however. Sequestered away in the Andaman Islands, the couple plant their roots deep into the island even as they study each other and slowly grow together. Girija brings his scientific mindset to bear as they explore the Andamans, even as Chanda decrypts for him the language of the trees and interacts with the many ghosts existing alongside them. As they walk together through life and death, they are joined by Mary, a widow from Burma’s Karen community who had to send her child back to Rangoon as she had no way of caring for him. The milieu grows as the narrative begins to expand its arc: Girija’s daughter, Devi; her son, the scientist Rana; Plato, Mary’s son who finds himself imprisoned by the junta; Thapa the smuggler, who reconnects them after so many years apart; the stripper Bagmati, through whom Thapa finds what he once lost; the village grandfather Apo, who finds love again in his 80s with Ghazala, who has just moved into his settlement. In them we locate the other three novellas of the book, which stand apart and yet are deeply linked, much like Girija and Chanda. However, while it is clear that most of the characters have been lovingly explored, the very nature of the book is such that the primary focus is in the exploration of the many inter-connections between humans and nature. The life of a human may be no different from that of a type of plant or a bird. This is not meant to demean any one of them, but to place them on a much larger stage that churns and is never short of different types of silences. These silences — the ones that can be heard and felt and endlessly explored — are a recurrence throughout the book, and, in the manner they are explored lies a major theme. Nothing in the book is set in stone — not even stone itself. Rain, tsunami, earthquakes, mountains that sink and peaks that grow — all serve to indicate that change (chaos) is constant. Things are born anew even as others return to an earth that is covered in faultines, with tectonic plates ever shifting and rumbling. The boundaries separating binaries such as life/death, civilisation/wilderness and self/other weaken greatly, as do the constraints of laws such as time and space. This ambiguous zone is the perfect petridish for Swarup, who, much like Girija, Chanda, Devi and Rana, is a scientist to the very end. She explores and tests constantly, and there is a sense that some things were perhaps as much of a surprise for the author as it is for a reader. The idea of a living, breathing world is explored time and time again without ever growing stale, and such explorations become the book’s enduring strengths as it passes from an impeccably crafted first novella to the other, seemingly more freewheeling ones. later return to the island results in harsh scrutiny. Unlike those who try to nail down the idea of nature in a line or two, the author seems to embrace the notion that, when surveying something of such breadth, change is perhaps the only constant.